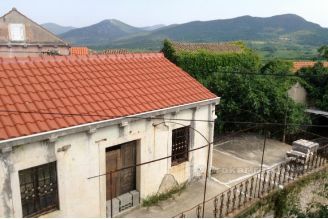 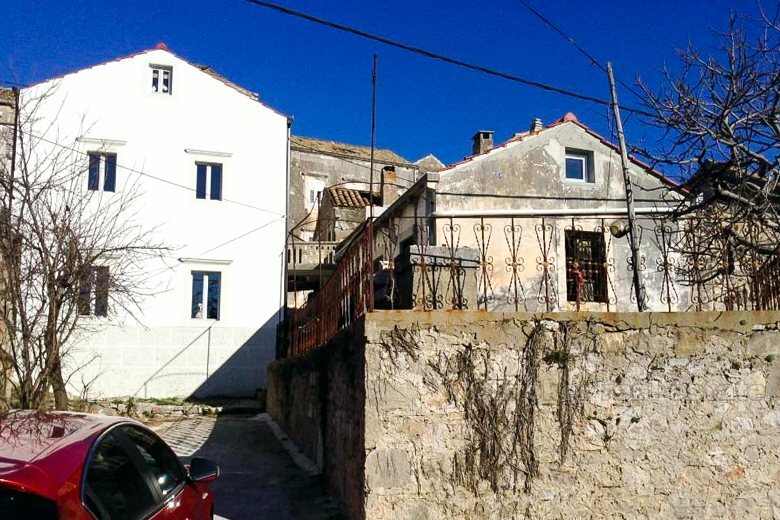 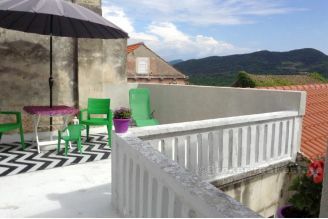 Two houses for adaptation, situated on a peninsula Peljesac in a quiet location. 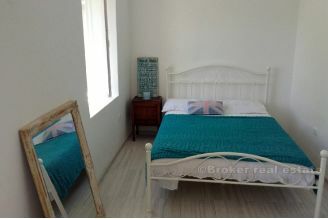 The property is located at the end of the village, with a beautiful view of the place. 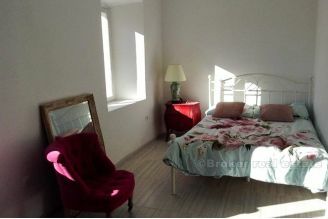 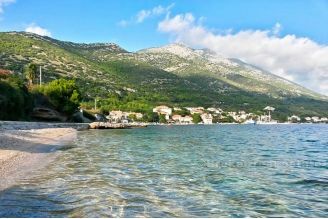 Village is located near spectacular beaches and famous places (within 1 hour of drive). 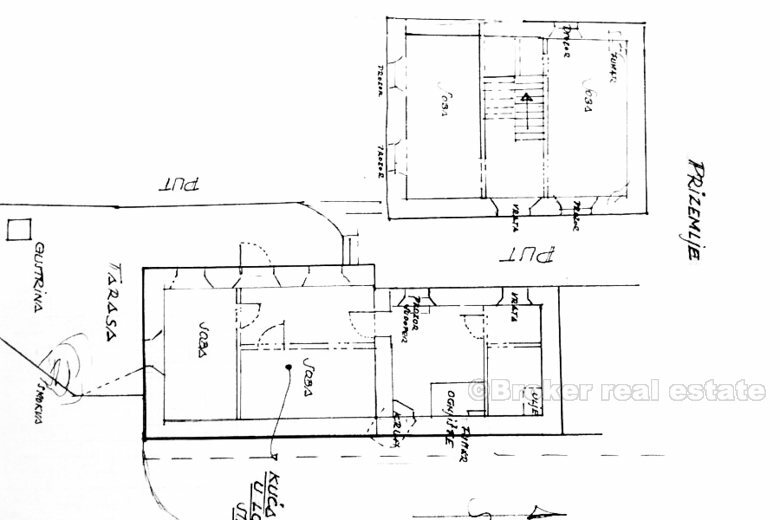 The first property is habitable, but requires final works. 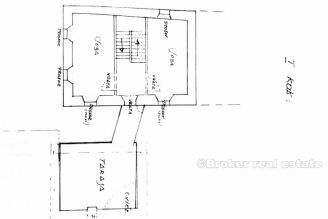 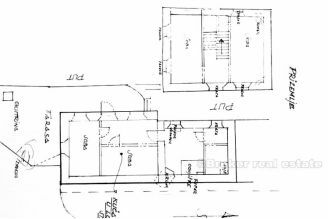 It has two floors, layout area of 7 x 8 m. Ground floor consists of bedroom and bathroom, while living room and kitchen are on the first floor. 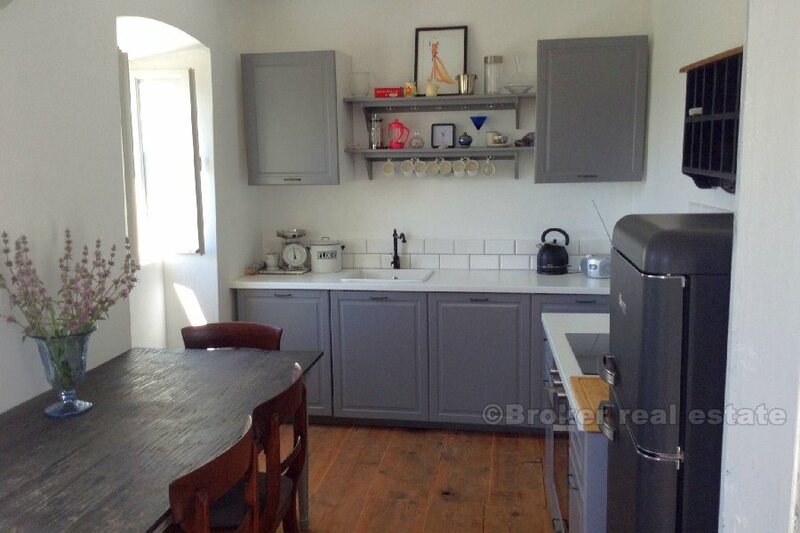 The kitchen is equipped with a dishwasher, a ceramic stove and a small boiler - all appliances are set up in 2015. 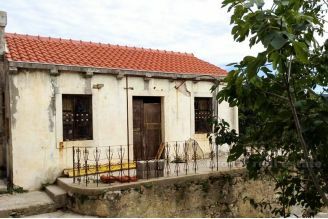 In the house there is Internet and TV connection, and air conditioning is not set. 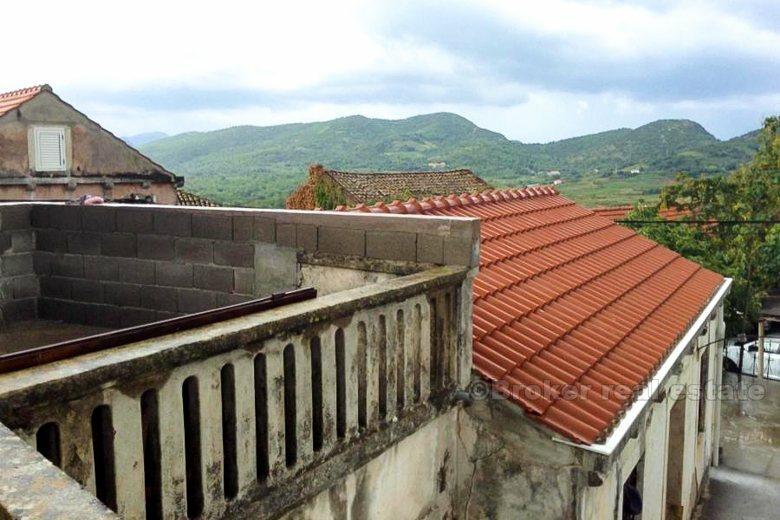 The roof was built in 2015 as well as the facade. 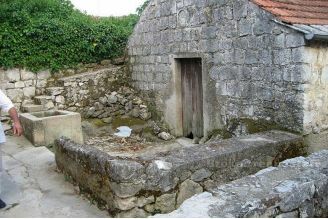 The house is supplied by water from the water tank, located on the terrace of another house (there is a possibility of connecting with local water supply). 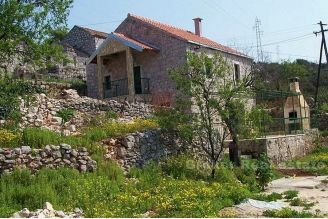 The second house (smaller) requires complete adaptation from outside and inside, and water and electricity supply. 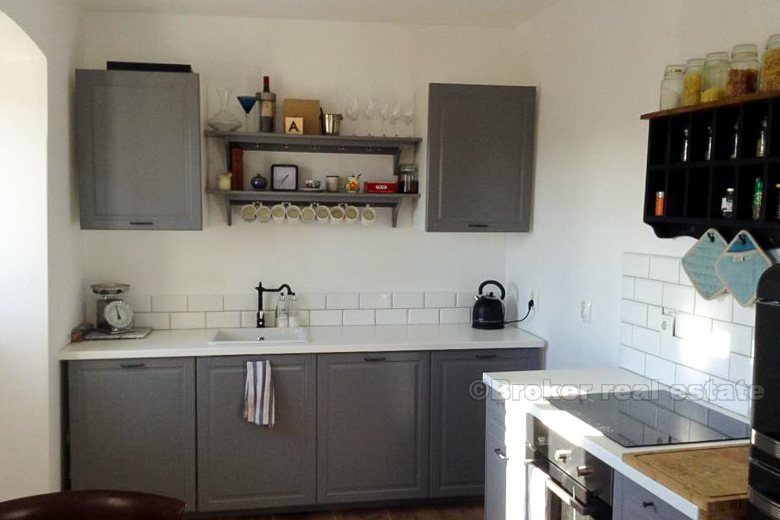 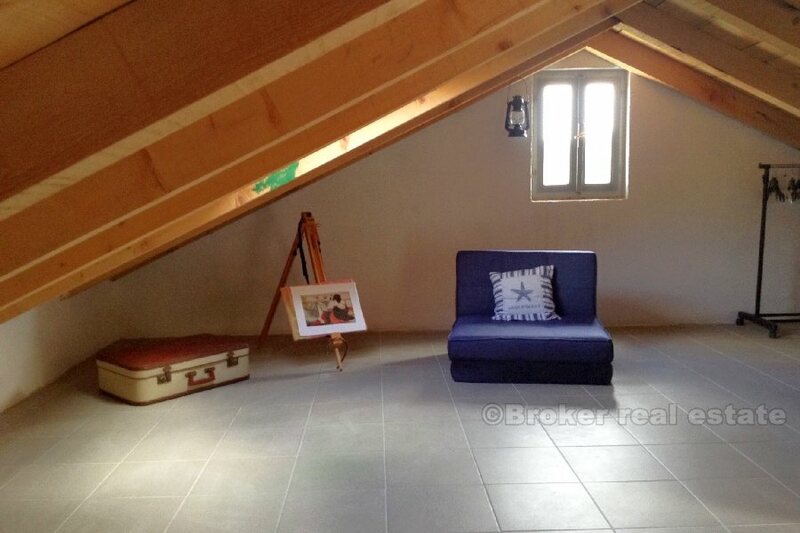 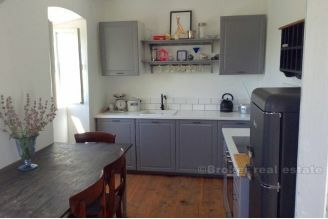 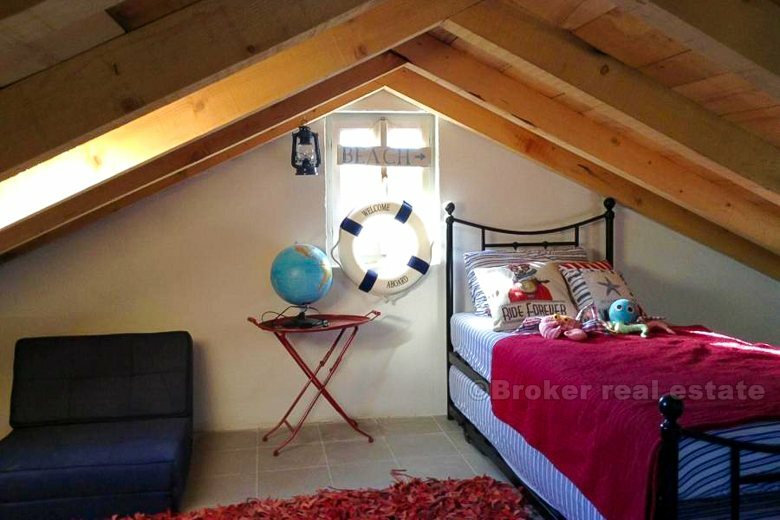 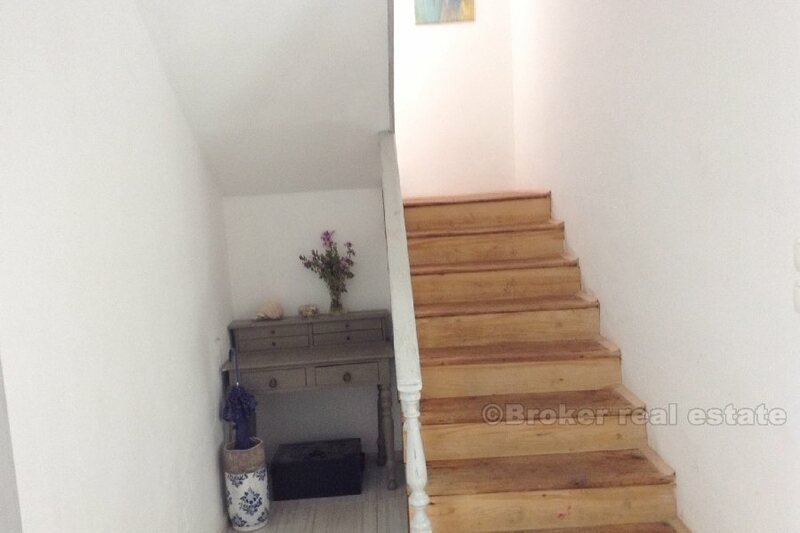 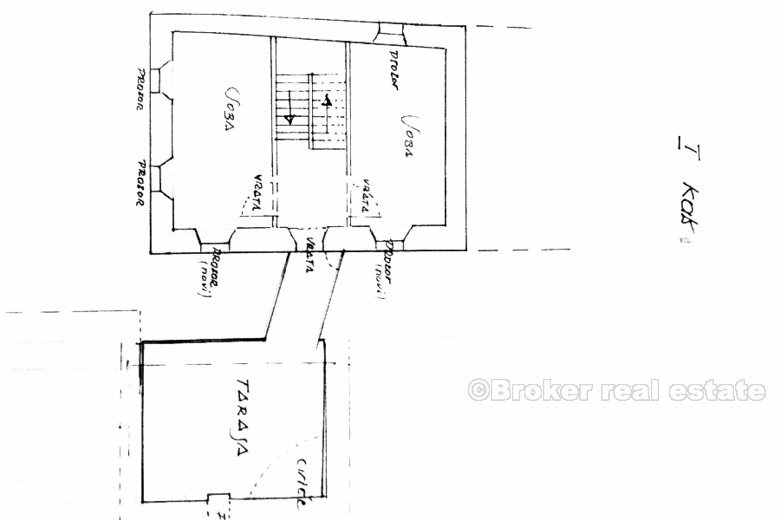 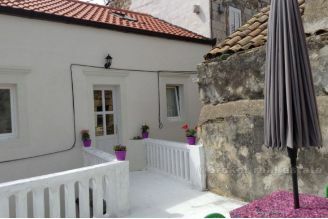 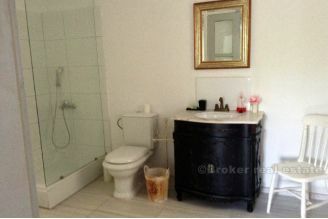 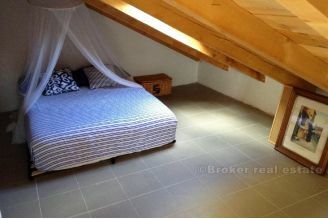 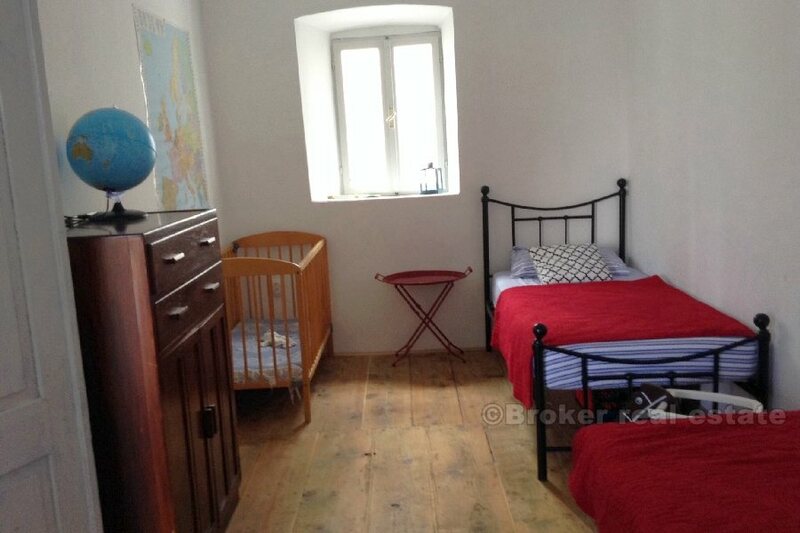 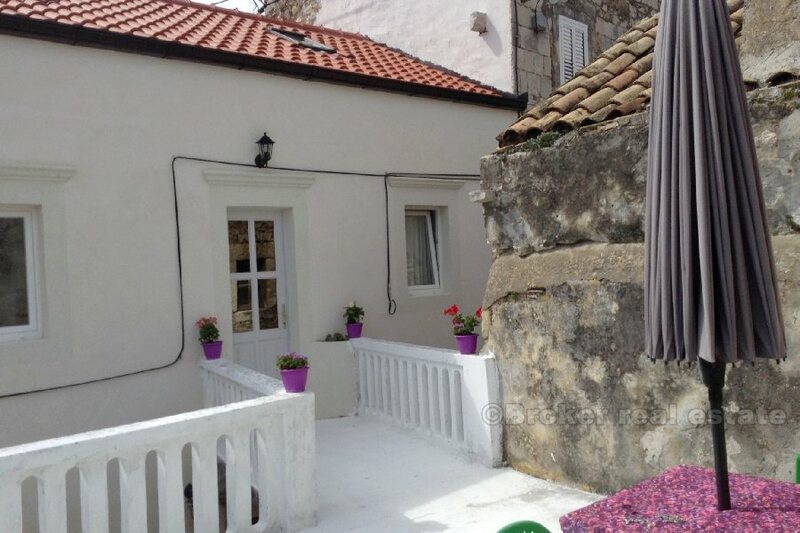 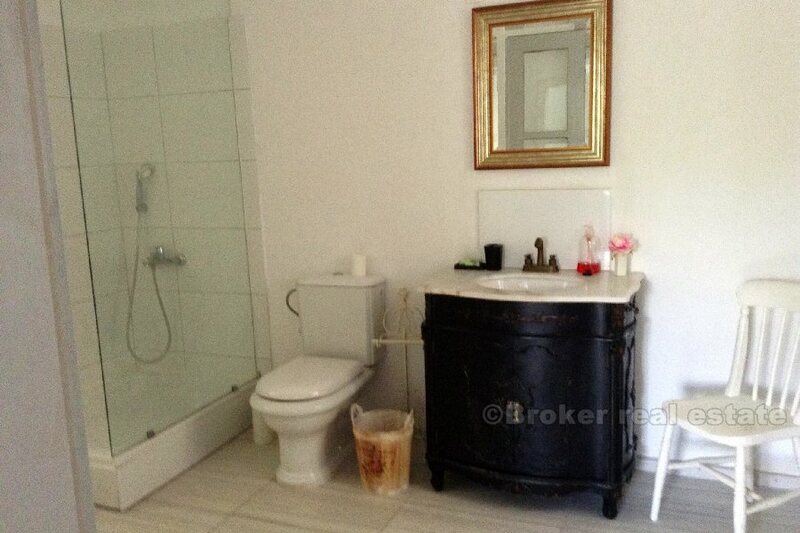 This property has a floor area of ​​14 × 6 m and a terrace of 40 m2. 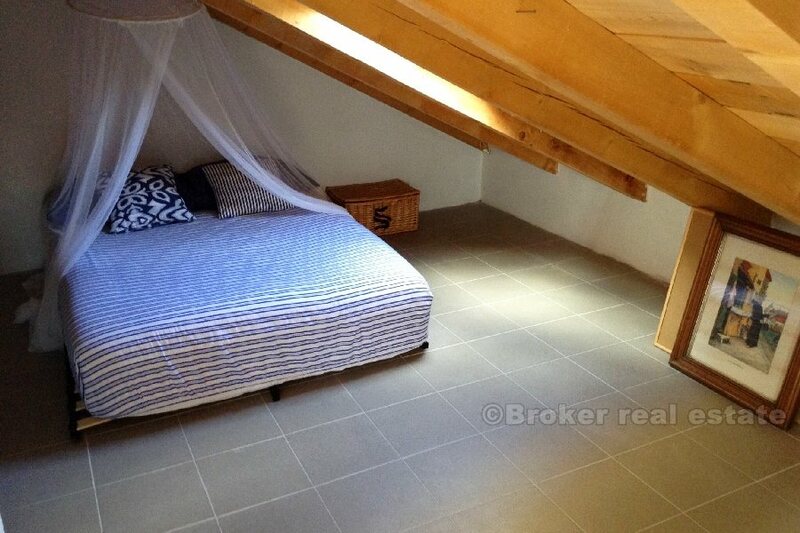 Below the terrace there is a space that can be converted into a bedroom and a bathroom and a separate storage area. 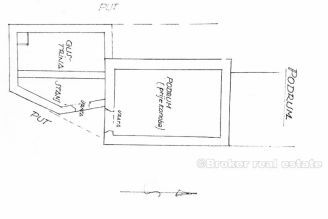 There is a separate parking lot on the plot, located a few meters from the property, which can be covered. 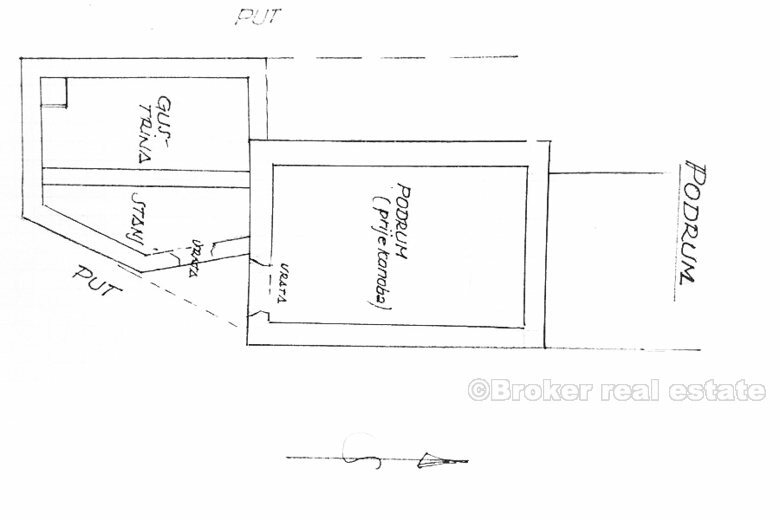 Also, there is a possibility to build a 6x5 m floor plan garage.